Hello! This is a very different style card for me. 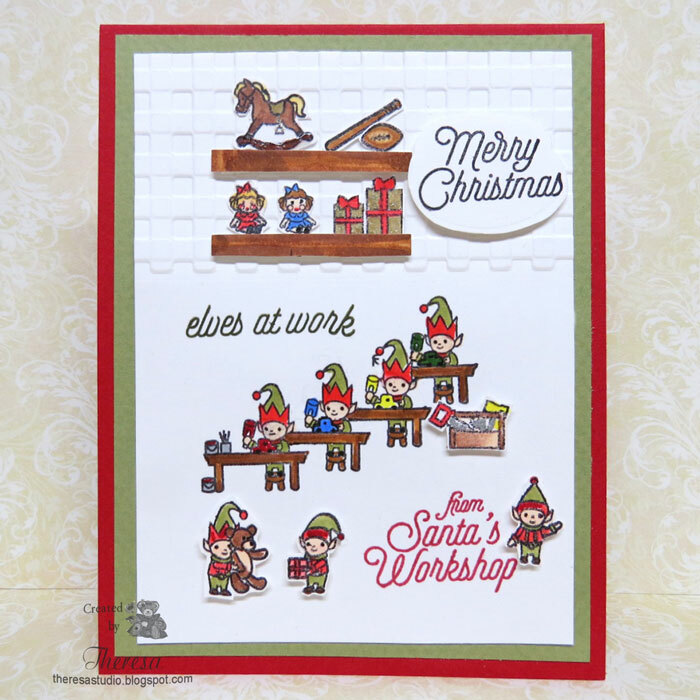 I created my vision of Santa's Workshop with stamps from Hero Arts October Kit and doing some fussy cutting. The elves are working production style making cars of different colors and toys are stored on shelves against the wall awaiting delivery on Christmas Eve. Used Red card base and a mat of Green CS to complete the card. Coloring done with Copic markers. Craftyhazelnut's Christmas Challenge: # 356 Anything goes for Christmas-Option Traditional colors. This is lovely./ Such awesome images and great design. Thanks for joining our Christmas challenge at CRAFT.